the kids are sure to remember! Water Slides or other party rental today! 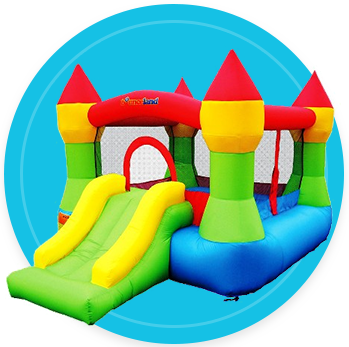 Here at Fun4Fun Party Rentals Las Vegas, we know what it takes to throw an exciting, entertaining and safe bounce house party. From bounce houses to water slides and combo inflatables, tables and chairs, karaoke, popcorn machines, snow cone machines, and cotton candy machines, our staff will deliver any source of entertainment you need, on time, every time. When you’re planning for your next children’s birthday party or special event for any age, make sure they have the time of their lives with one of our party rentals. 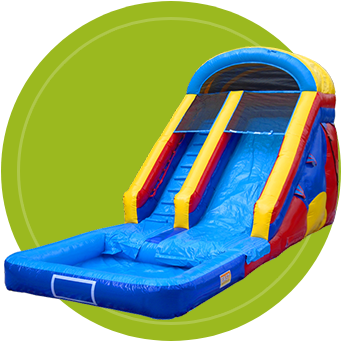 Also, known as jumpers our bounce houses provide a fun and safe place for your children and their friends to play. 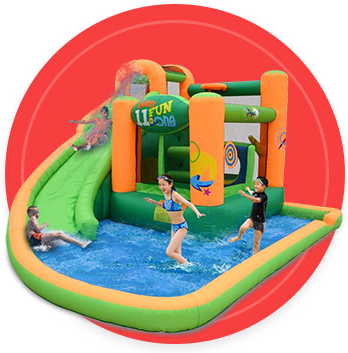 From sport themes to Sponge Bob and Princess castles our jumpers and water slides along with any party extras will cater to your child’s interests and make their party FUN!!! Imagine the smiles on the kids’ faces when they see a cotton candy or snow-cone machine! 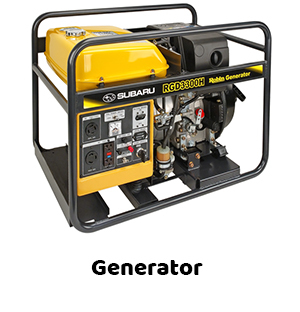 You can also get extras like tables and chairs, karaoke machines, popcorn machines and more. Make the most out of your children’s birthday party celebrations! We recommend Fun4Fun Party Rentals to anyone who appreciates hard work and good customer service.